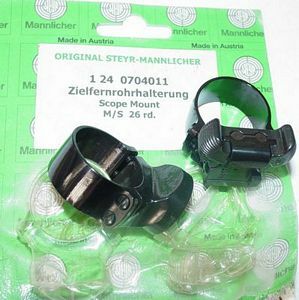 Steyr-Manlicher Scope Rings. No 1 24 0704011, steel 26mm. Condition new (unused). Ref: 6782.